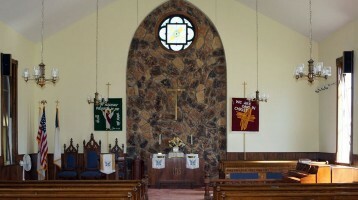 Village of Ansley, NE | "Some Bigger, None Better!" In 1886 Ansley was platted in southeastern Custer County by the Lincoln Land Company, headed by R. O. Phillips. Ansley was named for Eliza J. Ansley , who invested in real estate there. The site was purchased from ranchman Anthony Walkinson. 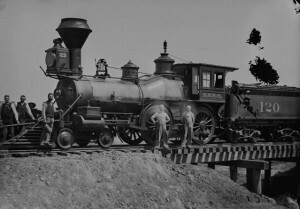 The Burlington and Missouri River Railroad  (later the Chicago, Burlington, and Quincy) reached the new settlement soon after it was founded. In 1986 approximately thirty-five Burlington Northern trains per day passed through Ansley. 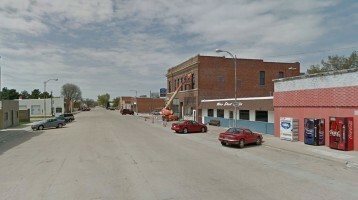 Ansley was the first Nebraska town west of Grand Island to own a power plant and water system. The Ansley Electric Light and Power Company, built by C. J. Stevens, was incorporated September 20, 1892. Destroyed by fire in 1904, it was replaced by another power plant, which burned in 1910. The Municipal Light and Power System was completed in 1911. Ansley's waterworks company was organized and its facilities completed in 1893. Ansley reached its peak population of 817 in 1930. 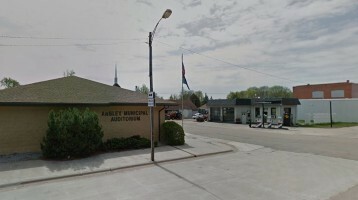 In its centennial year of 1986 the town's more than 600 inhabitants continued to use the slogan applied to Ansley in 1916 by merchant William S. Mattley--"Push, that's Ansley." 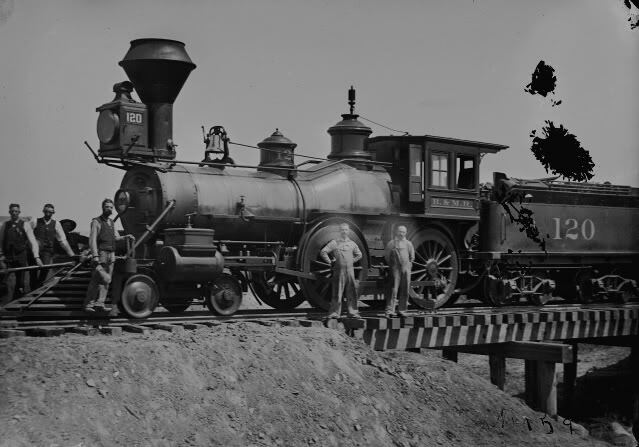 pictured above: Picture 12652 of the Butcher collection, date 1886, The Burlington and Missouri River Route's first engine in to Broken Bow, Custer County Nebraska. Today as part of the BNSF that routes up through Wyoming carries a lot of the coal for the US.